This ingenious little 3” windscreen has been specifically designed for interior boom pole use. The Baseball greatly reduces the ‘swooshes’ (unwanted noise artifacts caused by laminar airflow across the mic) induced by fast boom swings and other rapid movements. The Baseball is fitted with a soft yet durable end-cap. Made of thermoplastic elastomer – a unique plastic and rubber mix – the end-cap helps secure the mic and provides an effective seal against wind. The Baseball comes in ‘19/20’, ’21/22′ (green end-cap) and ‘24/25’ variants, reflecting compatible microphone diameters in mm. The Baseball came about from listening to customers; it offers a fast, practical solution to address the universal ‘swooshing’ noise problem experienced by sound pros when booming. The Baseball Windjammer® is an incredibly useful little add-on product for the Baseball, allowing for even faster/deeper boom swings indoors. Importantly, with the Windjammer fitted, the Baseball can now also be used outdoors in light winds. The Baseball Windjammer comes in one size, which fits all our Baseball variants, i.e. 19/20mm, 21/22mm and 24/25mm. Weighing just 15g, the Baseball Windjammer adds very little extra size or weight when fitted to the Baseball. Adding a Baseball Windjammer to the Baseball brings a very useful extra 10dB of wind noise attenuation, across the spectrum. So, the performance of the Baseball with the Windjammer fitted is -40dB wind noise attenuation, across the frequency spectrum. The Baseball is fantastic for interior boom pole use… but that’s not the whole story. 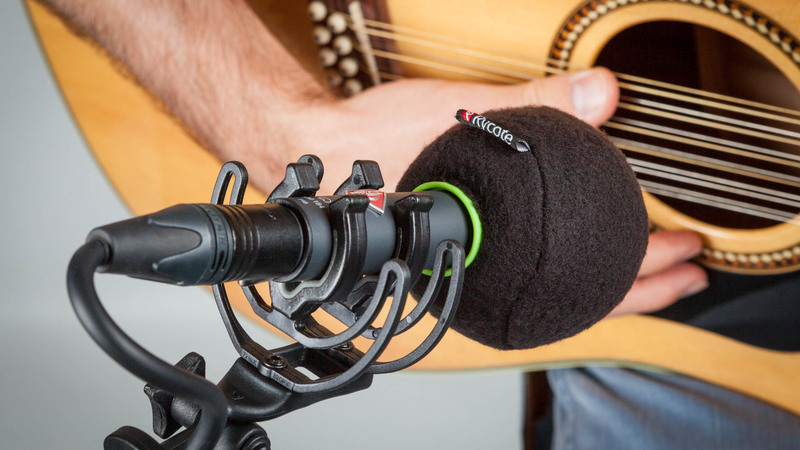 The Baseball 21/22 is compatible with some very popular mics used for pro-audio music applications (e.g. the Neumann KM180 series). This Baseball model is a great choice for recording instruments with these mics – partner it with the Baseball Windjammer to capture the performance in stage/concert environments too. The Baseball perfectly complements the INV-7 HG Mk III. The ‘mic / Baseball / INV-7’ combo makes for a super-lightweight, compact and discrete rig.